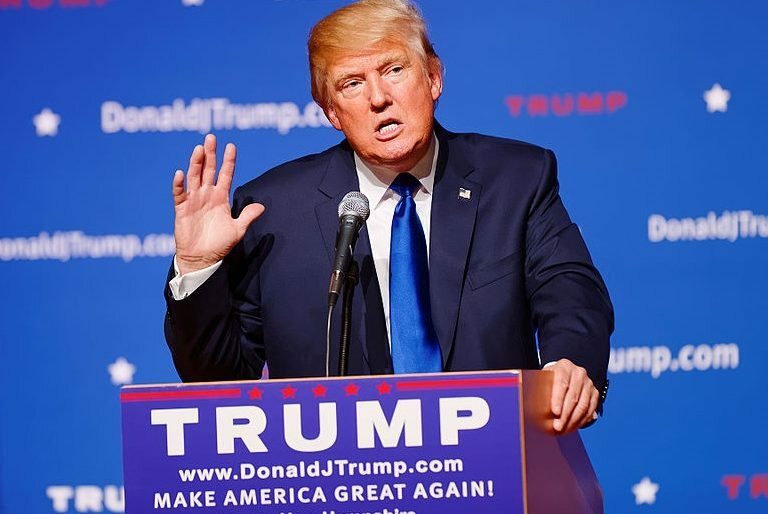 The campaign of billionaire Donald Trump to become the Republican nominee in the US presidential election later this year is no longer just a bad joke. It’s all too real. But would America really elect a wannabe fascist as president? While that is definitely a possibility, Trump’s critics have been stepping up their game in recent weeks. Trump has already been called a fascist, an authoritarian, and a “latter-day Mussolini”, while his policies have been likened to Hilter’s. And with good reason. His bigoted rhetoric allegedly contributed to a rise in hate crimes against ethnic minorities in 2015, and he has recently failed to distance himself convincingly from an endorsement by the white supremacists of the Ku Klux Klan. But in spite of Trump’s chauvinism, totalitarianism, and lack of a real policy platform, he is running away with the Republican nomination. This is not a joke… [Trump] alienates many vulnerable minorities in the US. If he is treated like a joke that gives his noxious ideology room to grow. And she’s right. There is nothing at all funny about his campaign. But humour does help to get serious messages across. It’s a very a good quote, it’s a very interesting quote, and I know who said it… What difference does it make, whether it is Mussolini or somebody else? Donald Trump is America’s back mole… It may have seemed harmless a year ago, but now that it’s become frighteningly bigger, it’s no longer wise to ignore it. Hacktivist collective Anonymous, which had previously made its opposition to Trump very clear, soon joined Oliver in his attack. In an attempt to separate Trump’s business brand from the man himself, Oliver focused on how the billionaire’s family name was once ‘Drumpf’. And alongside Anonymous, Oliver launched a campaign to “Make Donald Drumpf Again”. Both a website and a Twitter account are now online. Professor Noam Chomsky says Donald Trump’s Republican opponents are “not that different” from the bigoted billionaire. Party elites, he insists, abandoned moderate policies decades ago. And for this reason, other Republican candidates have no real hope of defeating Trump without undermining their own views. The Democrats, on the other hand, have in recent decades, stepped into the space on the right where the Republican Party once stood. But they do have a chance of stopping Trump – if Bernie Sanders becomes their nominee. Sanders is no radical. In fact, The Hill has said he’s “more in line with Theodore Roosevelt” and other Republican icons of the past. But his slightly-left-of-centre policies have made him incredibly popular and successful in a political environment dominated by the extreme right. By promising to deal with the dangerous concentration of income and wealth at the top of society and get corporate money out of politics, he has helped to mobilise millions of citizens who were sick of the US political establishment. And with even Democrats having little faith in Hillary Clinton, it’s no wonder that Sanders outperforms her in matchups with Trump and other Republicans. Even former Labor Secretary Robert Reich insists that Democratic voters “must and can aim high” by voting for Sanders rather than settling for the establishment candidate. But if Democrats don’t choose Sanders and Trump ends up president, it’s not all bad. At least Americans can migrate to Canada. – See here how Scotland has responded to Trump’s hate-filled campaign. – Readers who wish to support Bernie Sanders may do so here. – Readers may also like to check out Facebook pages like Bernie for President – London Supporters, Brits for Bernie and Expats for Sanders.